Just three ingredients make a desert that’s both healthful and hedonistic. Blender ice creams are one of my favorite ways to eat fruits. They feel indulgent while actually providing a lot of nutrition. I had a disappointment recently when the peaches I’d bought at the grocery store ripened to a mealy texture. Biting into them was not the treat I had expected. Then I remembered that my blender doesn’t care if a peach is mealy or velvety smooth – they both turn out the same once they’re run through it. So I tossed the remaining peaches in the freezer for later ice cream making. My disappointment turned into joy when I used them in this recipe. 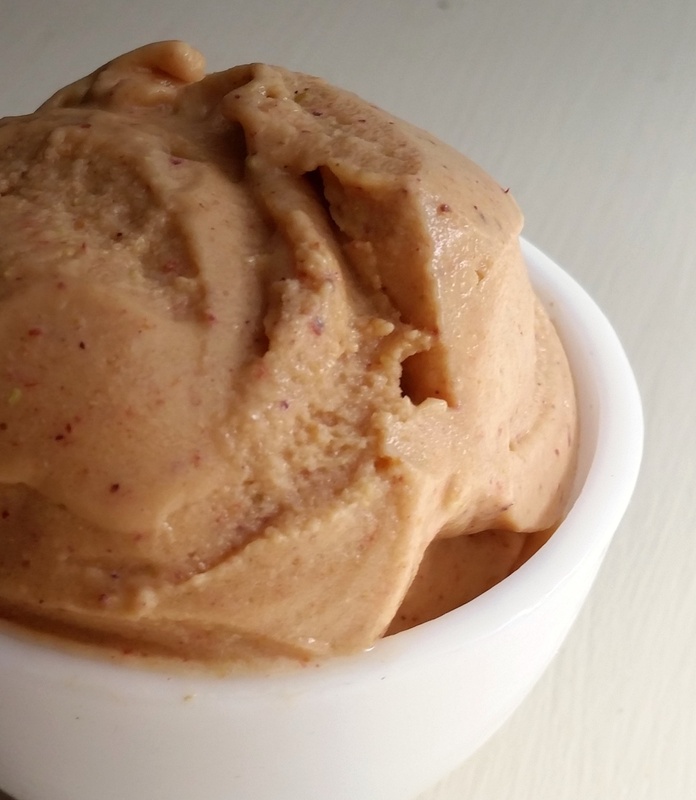 Nuts make this ice cream as rich as custard, while also providing beneficial protein and fiber that you don’t usually get in a frozen treat. Cashews produce a subtler flavor, but I’m crazy about pistachios so I use them whenever I can. I freeze my own peaches with the skin on. The rosy skin results in pretty flecks of red and a deeper color throughout.